"Cathedral of Awe" A Signal Mountain Sunrise - Image taken from 1 exposure. John Muir once wrote, "The mountains are calling and I must go, and I will work while I can, studying incessantly." It is something that I believe any of us who have spent long amounts of time in the West can associate with. Regardless of what we do during our work-a-day lives, there come periods where we need to experience something far bigger than ourselves. 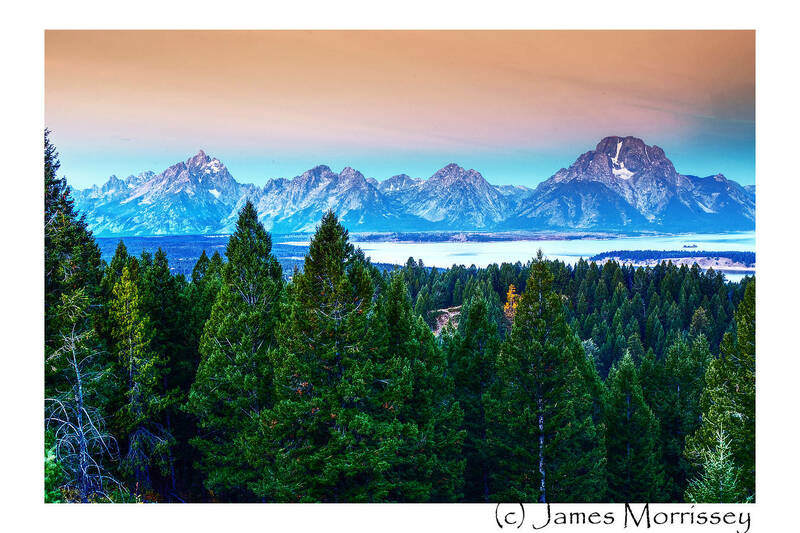 For me, the Grand Teton/Yellowstone ecosystem is that special place. I started going to the Grand Teton/Yellowstone area in 1996; on a trip with my father to celebrate my graduation from social work school. It was the end of May, and the snow was so high that the guide sticks on the side of the highways were still covered. In order to see many of the ravines and falls, we had to climb over mountains of snow pack. Even though it was relatively late in the season, the snow was just only receding to show the powerful assault Winter has on the wildlife, with those that did not make it being revealed by the warmth of the sun. 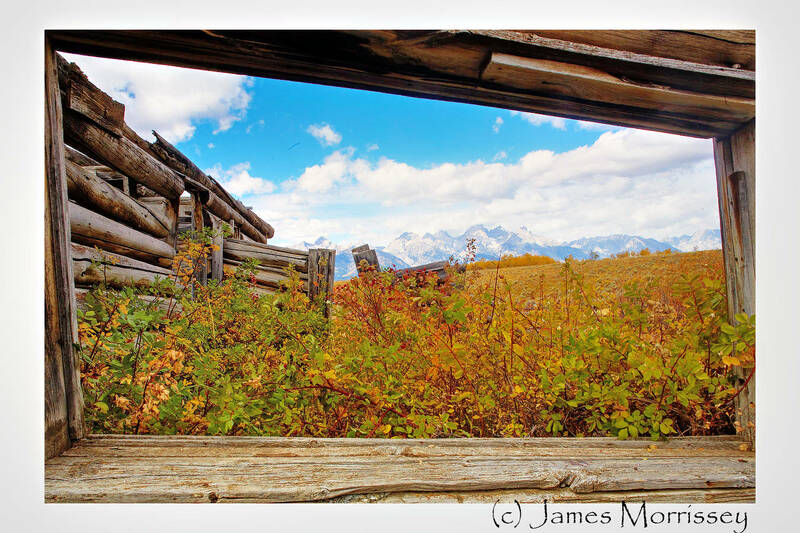 The Shane Cabin - Image taken from one exposure. The Tetons provided a dark, moody backdrop - bordering on bleak. The fact that we did not really know where we were going or that the ginormous space was perpetually dotted by the cloud covered Tetons only added to the sense of bleakness. My dad was profoundly disappointed that we did not get the chance to see the tips of the Tetons until practically the last day we were there. However, for all that, the mountains were just one piece of the trip for me. I was in awe of the wildlife and the geothermals. The hulking buffalo walking by the side of the road engulfing our purple Chevy Cavalier (which my pop nicknamed "Plumb Crazy."). I was entranced...and I had no way to capture these amazing creatures as I had no camera. If I was entranced by the wildlife and geothermals; when the mountains finally showed their face, I was sucked in. It was not just the massiveness of the mountains, it was that I felt small. I suppose it is not so unique - I have heard a lot of people describe this feeling after seeing the Grand Canyon. What counts, regardless of of how incredibly common an experience it may actually be, is that just the act of going to the mountains changed my view of the world. If it can do that for me, it can do that for others. 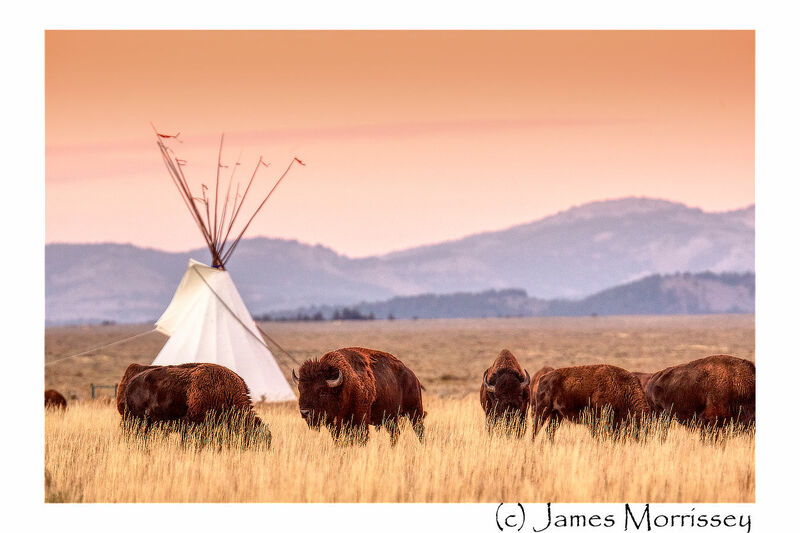 Jackson Hole Tipi - Image taken from one exposure. 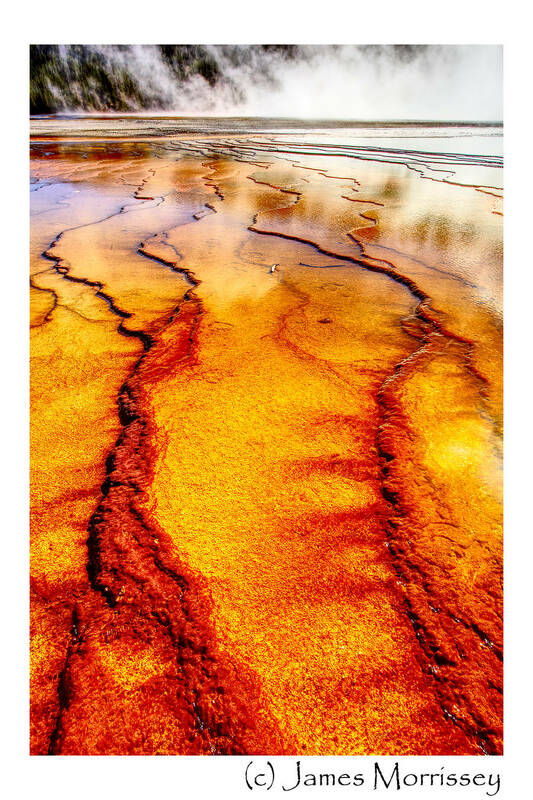 Yellowstone Midway Geyser Basin Bacterial Matt - Image taken from one exposure. While I have always been pretty socially conscious, before the trip to Yellowstone, I was not really very environmentally savvy. Don't get me wrong, I am a New Yorker - LOL, I know how to recycle. However there is a lot more to being environmentally minded than recycling. For example, I was genuinely politically neutral and no interest in organizations that were working to "save the environment." Heck, even the phrase "save the environment" was annoying to me. 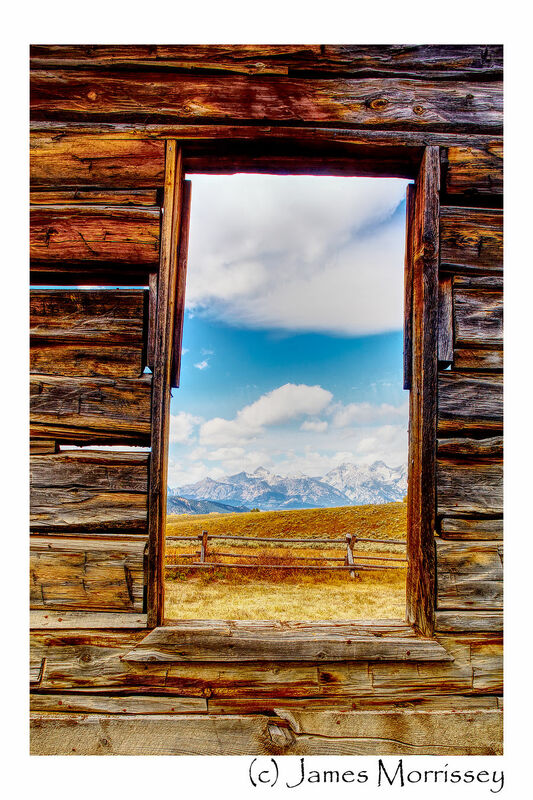 I can pinpoint my 'changing awareness' about the outside world to my trips to Yellowstone and the Tetons. This is such an amazing world - and we need to find a way to preserve it for future generations. Later that year, I made the investment in my first digital SLR. It was the Olympus D600L and it was the best tech you could buy under $2500. It came with a 4 Megabyte (yes, you have that right) Smart Media card, a 1.4 Megapixel CCD sensor and a 3x zoom lens. If you wanted more reach, you needed to get an add-on lens for the outside of the camera. Don't get me wrong, I have some great photos of my niece eating from the dog food bowl from earlier that year...but I was ready and roaring to learn something new. 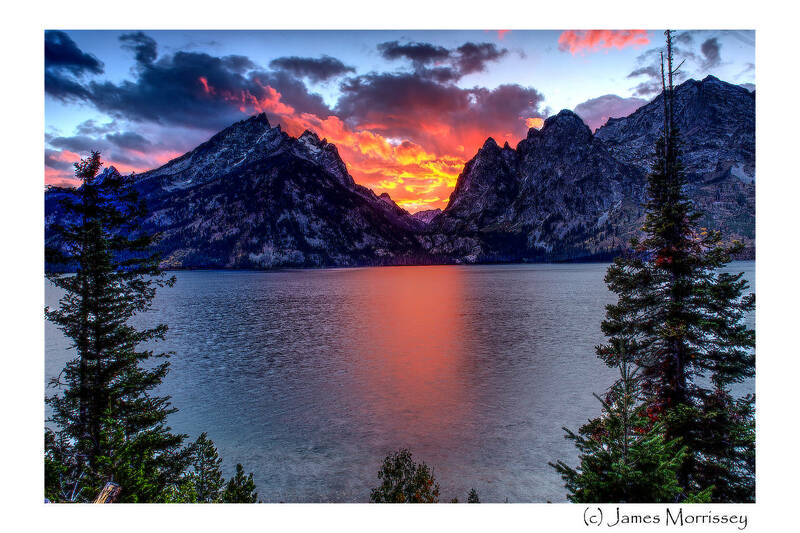 Sunset at Jenny Lake - Image taken from one exposure and blended using Affinity Photo's Tonal Compression. 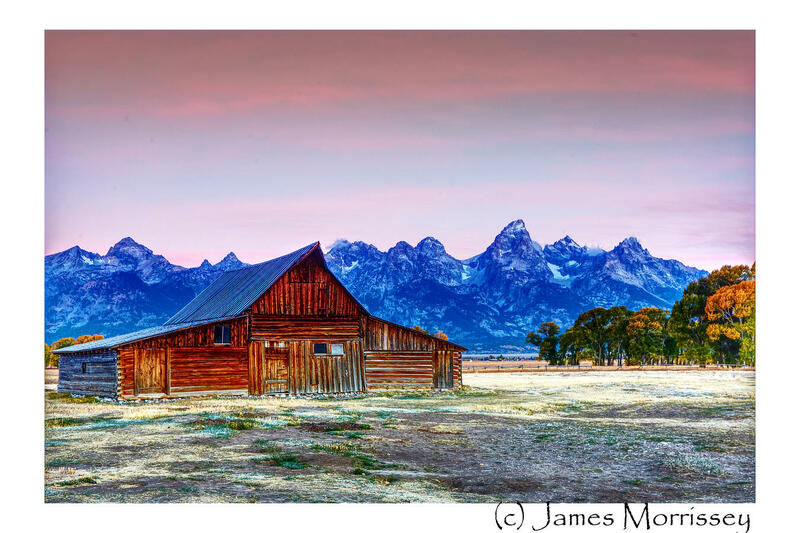 The Moulton Barn at Sunrise - Image taken from one exposure. That first trip led to many more. We have been making these family trips now for over 20 years. Beyond being a chance to bond with family, it is an opportunity to go and refresh myself. If I believed in the concept of a soul, I would call it soul cleansing. It has been my honor to learn photography and share my photographs with others. 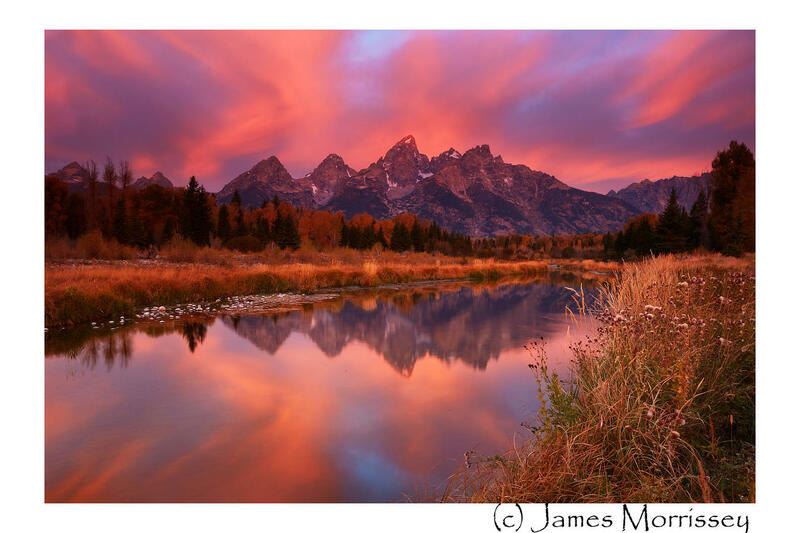 In many respects, the NWP Photo Forum, which has never been commercialized, is a product of my trips to Yellowstone and my desire to share my love of nature and the world with others...and if I am lucky, inspire even one person to go ahead and make some changes in their own lives. One thing I have learned over the years is that it is wrong to assume that people who love the parks are environmentally minded. This revelation is something that initially shocked me. However, I also feel that we all put on our pants the same way each morning and that while we may have differences in agreement about how to make the world a better place, that we probably want the same things for our loved ones - clean water, clean air, beautiful places to remain pristine to inspire us. 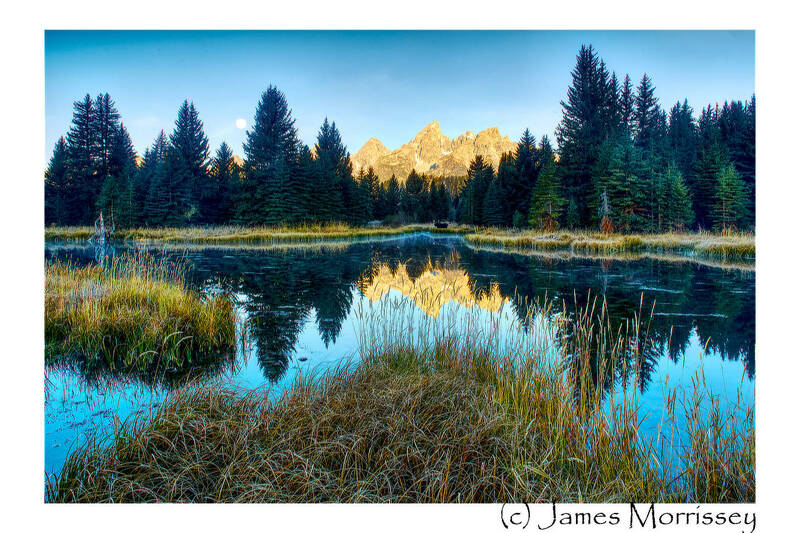 Schwabacher's Sunrise - Note the Moose - HDR Image taken from One Exposure using Roman Johnston's HDR Blending technique. 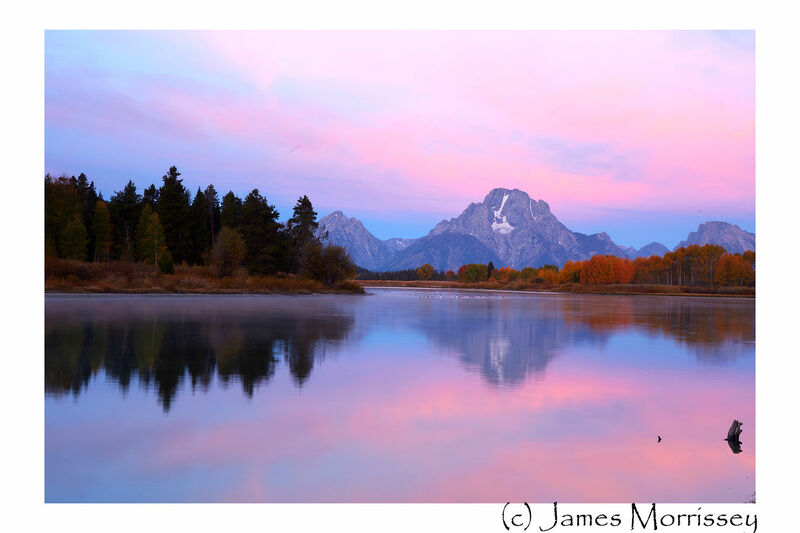 Pre-Dawn Sunrise of Mount Moran at Oxbow Bend - Image taken from one exposure. As someone who is trying to make the environment a more important part of my life, I believe that it is necessary to show beautiful things in ways that make people want to make the world better. We need to find ways to more than educate - but to inspire. We also need to take action to protect the things we love and believe in. I don't believe in brow-beating people or making litmus tests for what makes a person 'Green.' I realize that no one is perfectly consistent in all things - and I am no more or less flawed than anyone else. However, there are things that people can do that I believe will make the world a slightly better place than the way we came into it. The first thing to do is to make the environment a voting issue. The second thing is to seek out candidates who stand for the National Parks, our National Monuments and preserved lands as well as the larger global environment. For me, those candidates have been increasingly Democrats, but that may not be universal. If you see an environmentalist who is in a tight mid-term race, maybe you can consider sending a small donation? Every penny counts in a world that eats up campaign dollars. In this effort, I have been recruited by my friend, Steve, into supporting Democrats in tight elections as I believe taking control of the House and Senate is increasingly necessary - particularly in light of the recent UN Report on Climate Change. There was also a very disturbing report from the World Wildlife Fund which shows how much of an impact man-kind has had since 1970 on the other living wildlife populations that I believe is worth reading. However, I refuse to be beaten down by all this - we can make a difference. I know that the large corporate interests can out spend us and out raise us - but in numbers we can work magic. I have been donating through a website called ActBlue.Org. 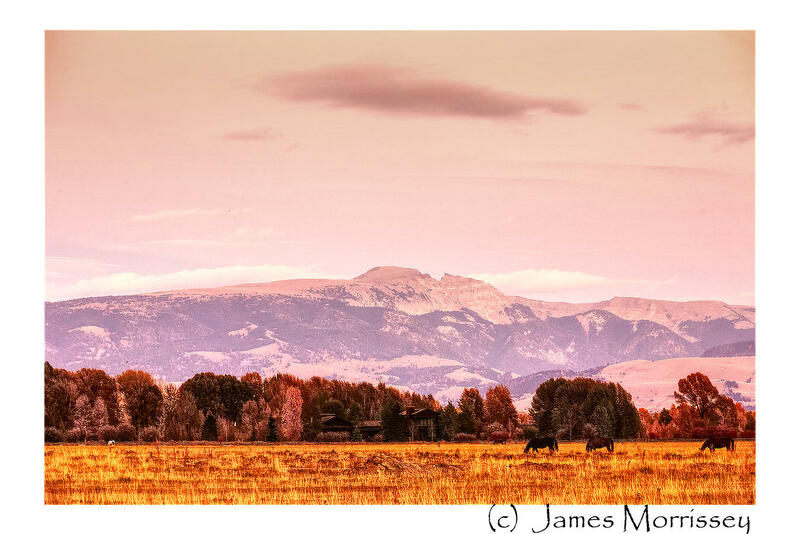 The Sleeping Indian, Jackson Hole Wyoming - Image taken from one exposure. If directly supporting candidates is not your thing, consider supporting environmental groups like the Nature Conservancy, or the Appalachian Mountain Club or the Sierra Club. They have political leverage that can be helpful with our environment. I am also going to make what may seem like an incongruent suggestion in regards to helping our environment. Get a news subscription to the New York Times or the Washington Post or to your local paper. We need arbiters or honest news - and unfortunately quality news costs money. If you are uncomfortable putting yourself forward politically - continue to share your love of the parks. Share photos, write stories. If you have a pet issue - that's OK too. Just do something. 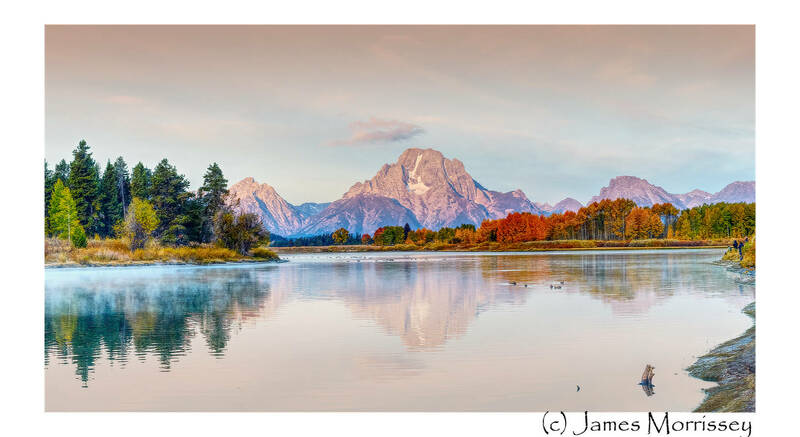 Oxbow Bend Sunrise - 5 Shot Pano - Processed with Affinity Photos Tonal Compression.